When I transitioned from canoeing only to mostly kayaking about 10 years ago, it greatly expanded what I could do on the water. I could cover more territory in the kayak (a Dagger Blackwater), it was lighter and easier to load and portage, and I could go upstream and maneuver better in moving water. First-time kayak shoppers might be a bit bewildered by all of the choices out there. 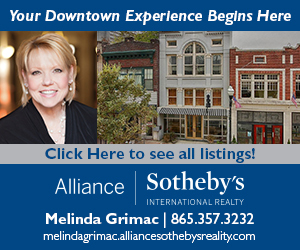 Salespeople want to know, first off, what you want to do in the boat to determine what kind of boat is right for you. 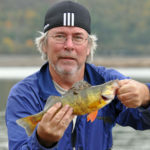 I usually shrug my shoulders and say “a lot of stuff:” flatwater trips, gentle rivers, multi-day expeditions, wildlife photography, fishing, going upstream, and so on. If, unlike me, you have a more specific idea of what kind of water you want to paddle (lakes or rivers), how far you want to go, and how serious you are about getting a workout in a boat, the salesperson will be able to help you more. For people just starting to paddle, I’m going to give a brief rundown on a few recreational boats to help you think about what to look for in a kayak. Kevin Hill, co-owner of Uncle Lem’s Mountain Outfitters in Knoxville (9715 Kingston Pike), says that sit-on-tops far outsell any of the sit-in boats that he has on hand. Hill, whose store carries only Jackson kayaks (made in Sparta), showed me the Riviera as the beginner sit-on-top he recommends for people interested in short excursions on the lake ($519). It’s relatively light, it’s stable, almost impossible to turn over, and it’s much easier to get in and out of than a sit-in boat. He invited me try out the high-back seat, and I agreed that it was very comfortable, with multiple foot rests for different-sized paddlers. When I stood up in the boat to get out, he commented on how the thick hull construction makes for a sturdy and durable boat. Even on a rough day at Fort Loudoun Lake, with 3-foot boat wakes coming at you, the Riviera will likely not capsize, and if you fall out, Hill says, it’s easy to get back into it. Whether you fall out or not, you’re likely to get at least a little wet in a sit-on-top, so it’s mainly recommended for warm-weather excursions. At 11 feet long and 58 pounds, with handles on the side and at each end, the Riviera is fairly easy for one person to carry or to drag. Little River Trading Company (Highway 321, outside Maryville), which has just re-entered the boating business, offers Ocean Kayak’s Scrambler 11 ($599) as its featured sit-on-top. It’s a little lighter than the Riviera (47 pounds) and it is self-bailing with scuppers on the bottom. Instead of the Riviera’s molded-in seat, the Scrambler is outfitted with a padded fabric seat with adjustable straps. There are many, many sit-on-top recreational boats out there; the best thing is to try one out before you buy it. Both Uncle Lem’s and Little River Trading Company rent boats and deduct the rental fee from the purchase price. 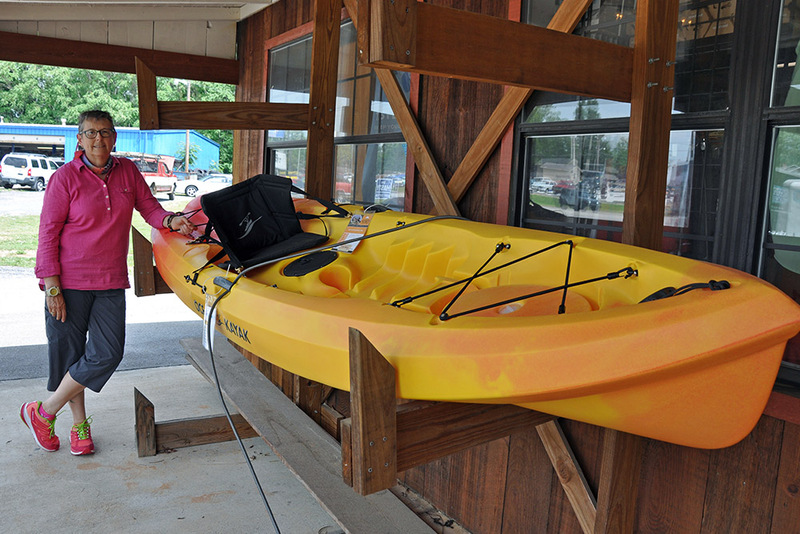 Little River Trading Company’s Deborah Duda with the Ocean Kayak Scrambler 11. The Coosa HD is $1,749, perhaps more than you want to spend on a first boat, though it is considerably less expensive than a bass boat with a motor. Uncle Lem’s has many other fishing kayaks: the Cuda 12 (as in, 12 feet long) and 14 ($1,539 and best for lake fishing), the Big Rig ($1,749, the most stable of boats but also the heaviest at around 90 pounds) and the Cruise Angler 10 ($999) and 12 ($1,099), the entry level fishing kayak that has less accessories than the other models. Recreational kayaks that you can sit inside tend to be more maneuverable than sit-on-tops and since you’re sitting lower in the water, you’re less affected by wind and less exposed to the elements in general. Because you’re inside the boat, you can use your hips and your weight to steer or turn the boat better than most sit-on-tops, an advantage in moving water. Sit-ins also tend to be more efficient than sit-on-tops, meaning that with each paddle stroke, your boat tracks better on flat water. The main disadvantage is that sit-ins are less comfortable and not as easy to get into and out of. The sit-in that Hill recommends for beginners is the Tupelo, which comes in two lengths, 11 feet, 10 inches; or 12 feet, 5 inches. It’s got a removable “Elite Seat,” with lumbar support and a dry hatch in the rear. All of the boats I’ve mentioned have varying degrees of dry storage, as well as bungee cords for securing gear on decks. The Tupelo weighs about 50 pounds. If a beginner wanted a boat for fitness, to paddle longer distances than around the boat slip with the grandkids, Hill would recommend this one. It’s $899. I made the mistake of putting my recreational boat in Oregon’s Rogue River, without the spray skirt (cover that fits over the cockpit). Waves churning 2 feet high filled my boat in about five minutes. I turned over and took a long “swim” in the frigid Rogue. With the wrong boat and minimal whitewater skills, I had been lucky. Mark Parker, who has kayaked for over 40 years and is on the pro staff of Uncle Lem’s, says he often sees people endangering themselves in boats that are not made for rivers with Class I/II rapids, such as the Hiwassee and the Nolichucky. 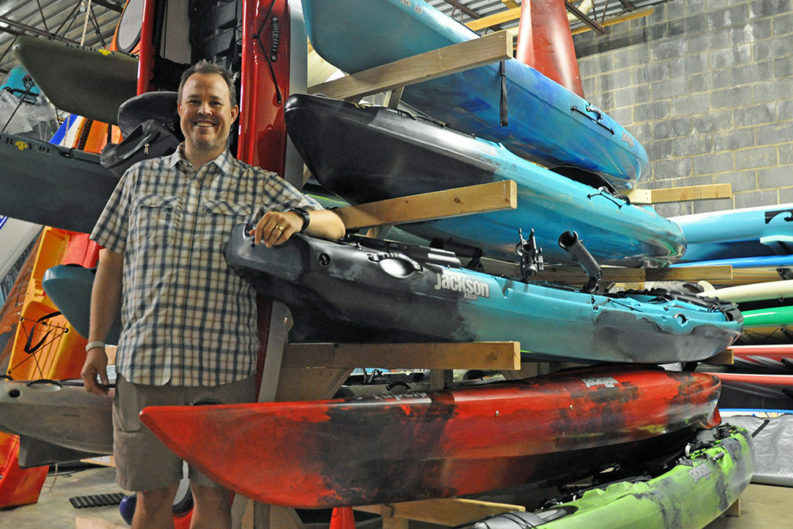 Cheaper kayaks (under $300) are often made of plastic that’s not as durable as it should be, he says, putting paddlers at risk in swift rivers with obstacles such as deadfall and rocks. He also sees people in kayaks on lakes not wearing life jackets, which irks him as well. Having the right boat and the right amount of experience for the river or lake you’re on is essential for staying safe in a kayak. Parker highly recommends that beginning paddlers be instructed on wet exits (falling out and/or capsizing) and re-entry. This process is easier in a sit-on-top than a sit-in kayak, but if you’re in the middle of a lake, in water over your head, Parker says you should have already tried getting out of the sit-on-top and getting back in. Same goes for a sit-in kayak. Most beginner recreational boats like the Tupelo aren’t made for the roll (which requires professional instruction and practice) and require a wet exit, which means extracting yourself from the cockpit and securing the boat so that you can get back into it. Parker also cautions that some of the cheaper sit-in kayaks do not have watertight bulkheads and hatches, which enable the boat to stay afloat if it capsizes. So…happy paddling out there. There are many places to explore via kayak in this area. Just be sure you that you have a boat, equipment, and experience suitable for the situation. Kayaking has a reputation as a dangerous sport, but as Parker says, if you take the proper precautions, recreational kayaking on lakes and gentle rivers is safe and fun. Featured photo: Kevin Hill, owner of Uncle Lem’s Mountain Outfitters. Photo by Kim Trevathan.